This web site is an online encyclopedia dedicated to the Canadian Football League (CFL). The goal of this site is to collect the statistics of every player who ever played in the CFL along with the stories that accompany those stats. Check out the Players A-Z section which is an attempt to list every player to have played in the CFL, along with their basic information such as position(s), uniform numbers and years played. Also, be sure to stop by the Year by Year section where stats for each year are going online. We have a new look on the home page! We'll be working on implementing the new appearance and navigation troughout the site. CFLapedia has a new host as of October, 2017. Site load times should improve noticeably. As of January 9, 2017, this site will again become active. Look for a brand new appearance and more content in the coming year! More details coming soon. 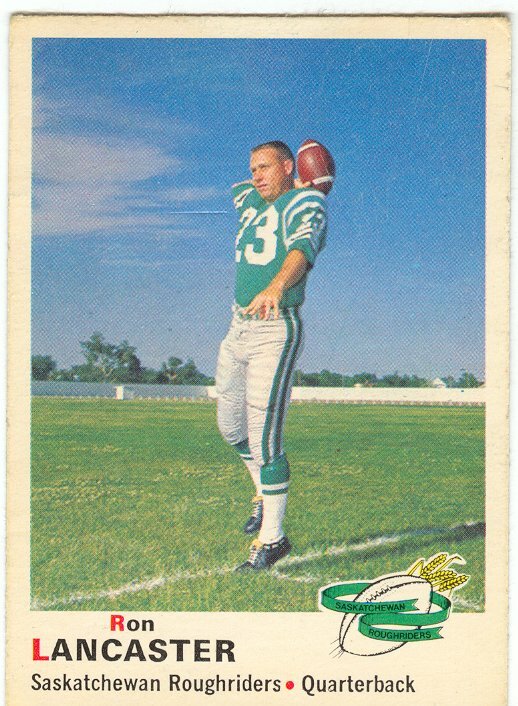 Many thanks to Grant Lederhouse for establishing this treasure trove of CFL history. Updated Players A-Z to end of 2015 season - March 31, 2016.. Updated Non-Players A-Z. August 14, 2015. Featured Ron Lancaster - January 6, 2016. Updated bio, pictures or stats for Don Getty(R.I.P., 1933-2016), Ellison Kelly (R.I.P., 1935-2016), and Mike Widger (R.I.P., 1948-2016). - March 8, 2016.